Clothes and fashion have always been a big part of my life. After completing my stint in the CFL, I was a part of a number of different clothing brands and companies as Trend Director. I put my skills and sharp eye for fashion and mens suits into brands including Canada Goose and Roots Canada. These are brands known for being classic, comfortable, stylish and functional. Working with brands that were well known and loved by so many Canadians, allowed me to get into the industry in Canada, creating and influencing trends along the way. Sneakers are my favorite item of clothing. I never go out without a pair and I wear them with everything. I am proud to be one of the frontrunners in the sneaker fashion revolution in Canada which has taken root in many parts of the world. As a growing trend, sneaker style has made inroads into many aspects of fashion. It is now widely accepted and seen as a fashion statement rather than just functional footwear. The Thompson Toronto, for example, has relaxed their stance and changed their outlook on sneakers. Through the momentum that I was able to gather in this movement, places have started to relax and change their stance against sneakers. I have always cherished the moments that reward me, when I stick firmly to what I believe in. It is an event that is hotly anticipated among fashion-centric people in the country and every year I look forward to the publication of Toronto Life’s ‘Best Dressed’ list while wearing a suit. I was honored with a spot on this coveted list. I consider it one of the highlights of my life, and career, as a full time fashion icon, trendsetter and forecaster. The publication titled me as the ‘Sneaker Prince’, which I guess is the perfect way to sum up my style. Having been recently diagnosed as deafened, this acknowledgement allowed me to leverage my visual skills in a digital way, more than ever before. 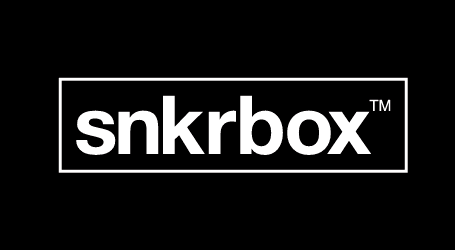 It led to the launch of my website snkrbox.com which offers a curated collection of sneakers, retro kicks, dead stock and rare sneakers, and made it possible for me to work more, and focus on my passion – sneakers.